James Reimer seemed to have come out of nowhere for the Toronto Maple Leafs this season and rally the team and their fans to BeLeaf in the playoffs. Thanks to the weak groin attached to Jean-Sebastien Giguere and Jonas Gustavsson's heart, Reimer was able to grab some NHL starts and impress. With a save percentage of .924 that puts him in the top five statisically, the nicknames began to pour in: Reim Time, Reimstoppers, Bust-A-Reim, but only one has truly stuck with hockey fans - Optimus Reim. Since then, there's been t-shirts made, superhero signals and James Reimer himself endorsing the nickname in interviews. Topping it all however, has to be this awesome video Steve Dangle recently made to pay homage to the nickname and its Transformers background. It would be really cool if the Leafs and Reimer got together to make a commercial like this with him wearing a Toronto Maple Leafs jersey. Maybe they could get those crazy cats at Reebok to add their flair to it. I like james Reimer a lot but I really hope the Leafs will have a backup plan for next year if things don't go as planned. He is still young and 25 NHL games is not enough to give him the #1 job. I agree Mike. As well as Reimer has done as a rookie, does everyone remember Andrew Raycroft? I love Reimy, if the Leafs sign another veteran to start i'll cry. 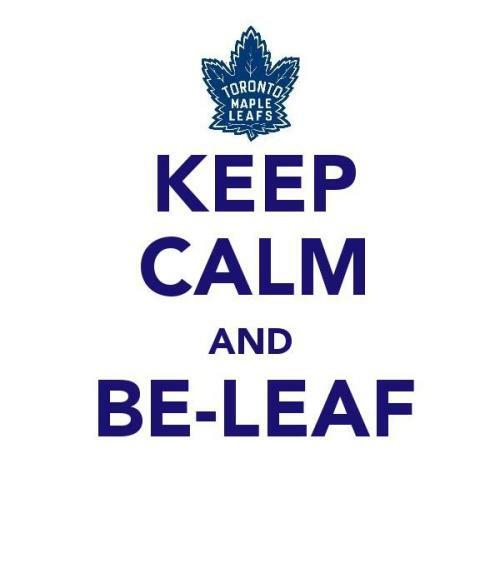 Reimer is carrying this team on his back, give us a #1 C and we're a playoff team! Jonas Gustavsson needs a chance to prove himself! I don't think the Monster will be anything more then a back up. Reimer could be a number 1 forsure. Did someone actually say Gustavsson needs a chance to prove himself? The so called Monster had his chance, and he blew it. Not to mention is unpredictable health. Leafs should just cut their ties with him and let Reimer and Scrivens go. The Monster is on a one way contract and signed for next year. 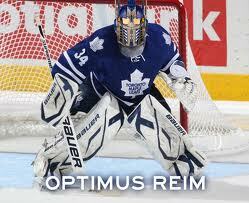 So he will forsure start next season backing up Reimer.